After my MD graduation, I spent 3 years working on clinical research projects in my native research institute (the “Institut de Recherche en Sciences de la Santé” (IRSS/DRO)). During that period I belonged to the Research Unit on Malaria and Neglected Tropical Diseases (RUMNTD), working as clinician and field coordinator. Thus, I learnt more about research in Science in general and specifically about malaria drugs development and related clinical trials and also about tropical diseases control. But I have always been convinced that I need to acquire deeper and more formal knowledge about research in general. After being recruited by the ministry of research of my country in 2014, it became clear that holding a Master degree represented a vital need for my scientific skills strengthening first, and secondarily for starting to build an advanced research career. 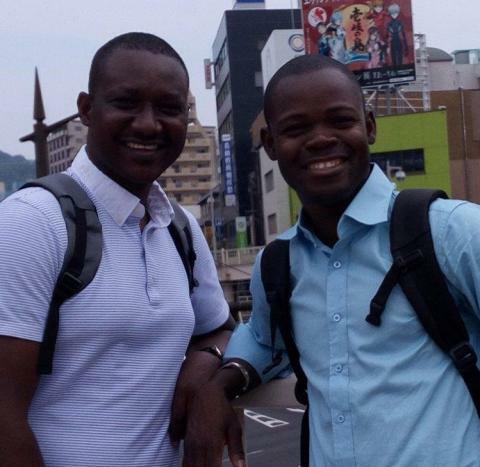 Therefore, being selected by the “Africa London Nagasaki” to study Tropical Medicine in the newly renamed “School of Tropical Medicine and Global health (TMGH)” of Nagasaki University, was an unexpected opportunity. The exceptional and updated academic program, I experienced in that school filled up the gap I felt before. 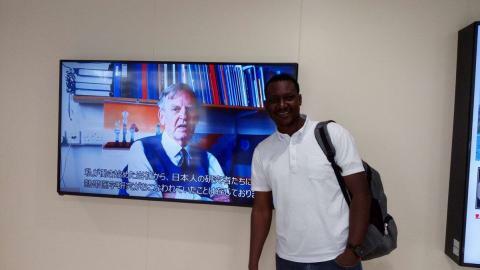 It was a privilege for me to acquire knowledge from Asian scientists and to interact with other international students. And I expect to bring back in my country a practical and sustainable scientific skills to contribute efficiently to the struggle against infectious diseases. It’s well understood that the development of African countries goes partially through the absolute control and elimination of infectious diseases and overall mortality reduction. In addition, after completing this master program, I am planning to pursue a PhD program in infectious diseases or in epidemiology. I am very grateful to ALN staff for its investment on young African scientists. For sure, without this sponsoring program it would be difficult and even impossible to attend to this MTM courses at Nagasaki University. Finally, above my personal satisfaction, I think whole Africa has to be proud of such an initiative.